This is why I love Christmas in Mississippi. Look at this gorgeous old house, with its classically festive holiday decorations of red and green — enlivened by the riot of pansies planted in the front yard. It’s like, “Christmas is here, but spring is coming!” Although I have to say that the past few days here in the South have been sort of wintry — chilly with a chance of freezing. Younger Daughter has been in Maine visiting her uncle and aunt there in the Frozen North, but I believe it’s been only minimally colder here. Then again, what do I know? Anything below 85 degrees is sweater weather to me. This entry was posted in holidays, home, Mississippi and tagged decor, decorating, gardening, gardens, holiday, holidays, Mississippi by Coffee with Cathy. Bookmark the permalink. We got back to warm and sunny Houston from Mississippi on Friday. I loved the old houses and the lovely rolling hills but you can keep the chilly weather. Did you see the Almon house (across from Tenn Art Center) in Tuscumbia this year? It was just beautiful. 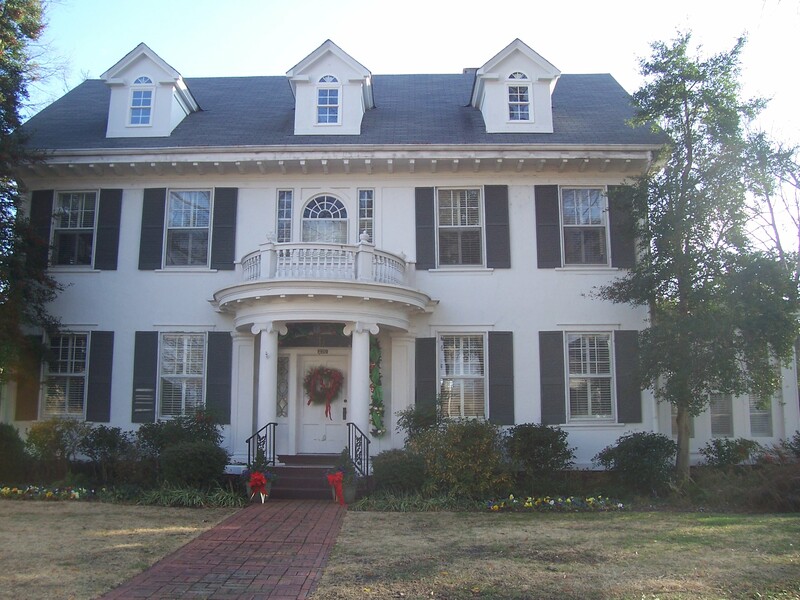 It’ll be December on the calendar I’m working on of Tuscumbia historical homes. Belle Mont, even with the Christmas decorations will be November I think. I spent two days taking pictures there and I’d hate to loose a good picture. Mary, you are so right! The Almon house was gorgeous this year. Congrats to you for your calendar project — can’t wait to see it. Michele — Could we share the cold weather? Please??? It was a case of open mouth, get in trouble. Probably will have the Tuscumbia and I’m already getting requests for another flower calendar. Both will be another benefit calendar.